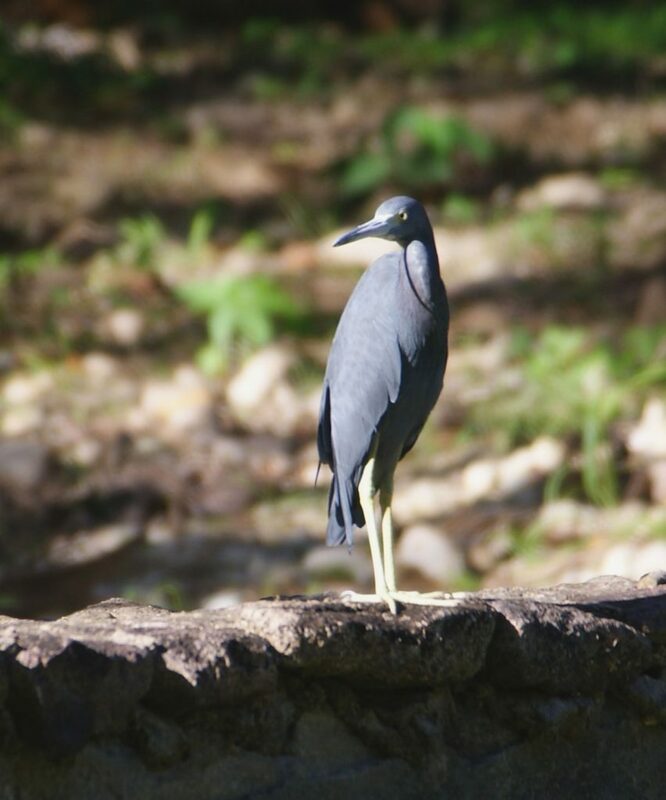 In a series of blogs, Ed Drewitt freelance naturalist, broadcaster and wildlife detective takes us through the St Lucia Birding experience. 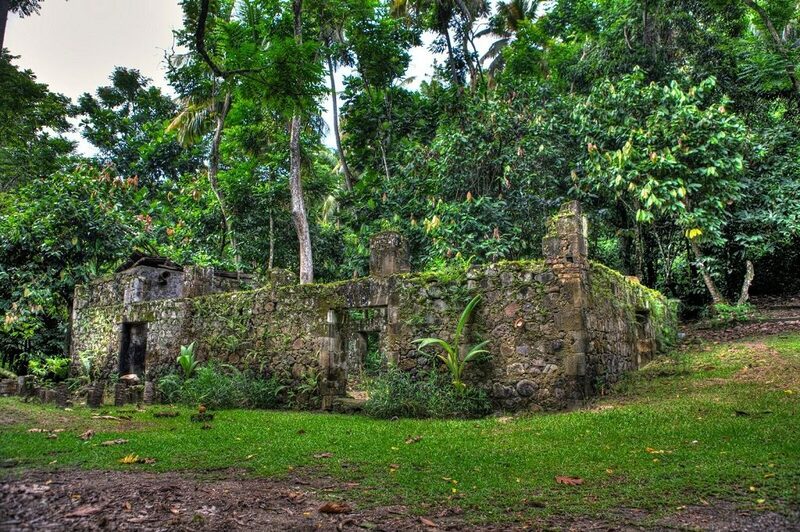 In this edition he takes us over to Anse Mamin Plantation and into the forest. 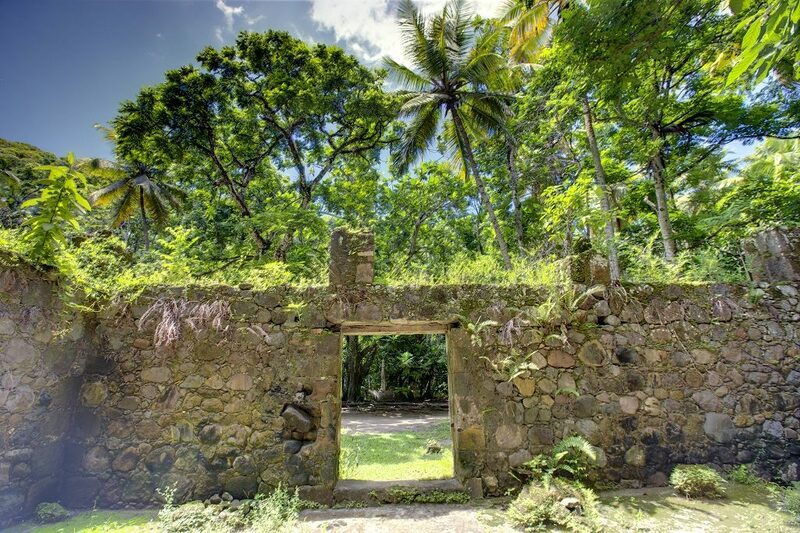 If you take a stroll along the beach or catch the boat to Anse Mamim, it is worth exploring further into the forest for birdlife. 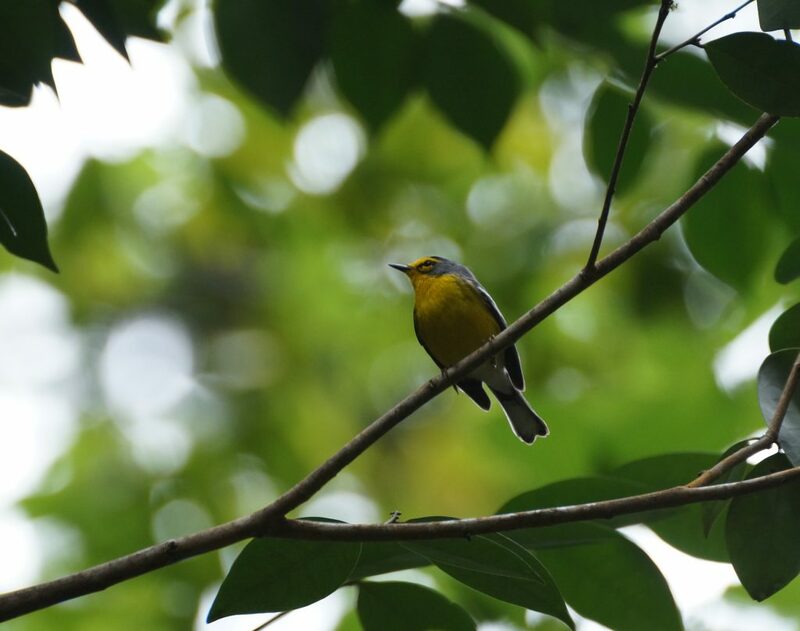 Here, the peacefulness and wildness of the secondary forest gives you have a greater chance of spotting shy birds such as the St Lucia Oriole or the Bare-eyed Thrush. As the path nears or passes over the stream look out for different herons and egrets. There is usually one or two Little Blue Herons resting or feeding along here. 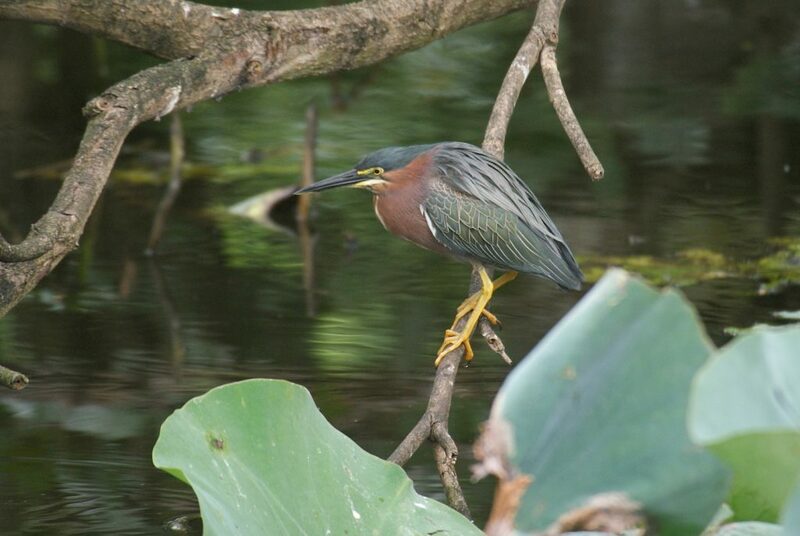 You will have to look even more carefully for the Green Heron, a small heron, no bigger than a dinner plate, with a myriad of greens, purples and yellows in its plumage keeping it cryptic. High in the trees above there will be Bananaquits, Lesser Antillean Bullfinches and Purple-throated Caribs. Along the paths and amongst the leaflitter is a good place to spot the Bare-eyed Thrush. This all brown thrush (similar in shape and size to an American Robin or European Blackbird) has a distinctive yellow ring of skin around its eye. They love turning over the leaves looking for worms, spiders and centipedes. 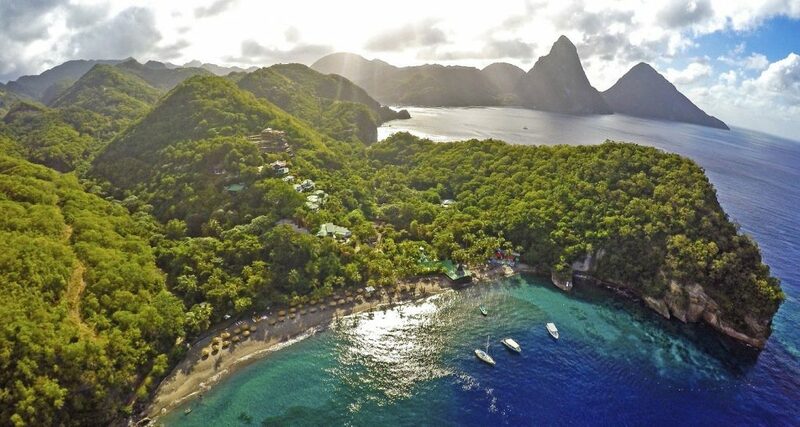 Look out for some of St Lucia’s endemic birds here. 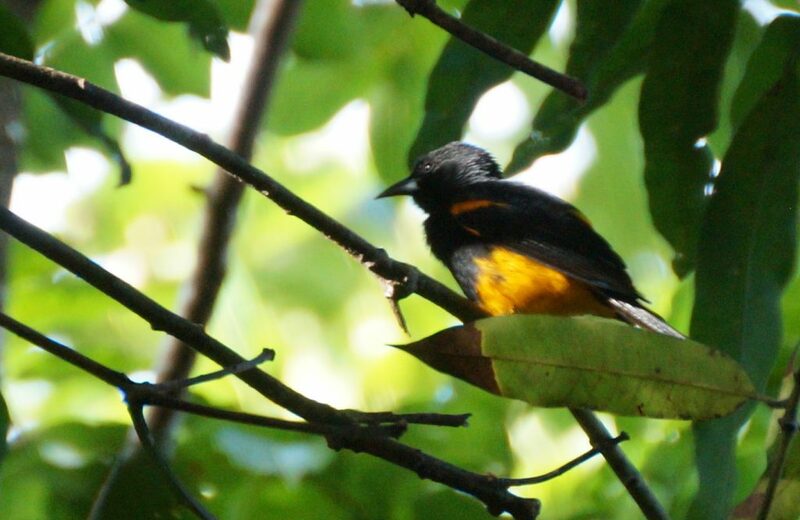 The St Lucia Warbler is a small striking bird – like the Bananaquit it has a bright yellow breast. However, it has a bright grey back and crown and a yellow face and cheeks, with three dark stripes across each side (the one beneath the eye is subtle). 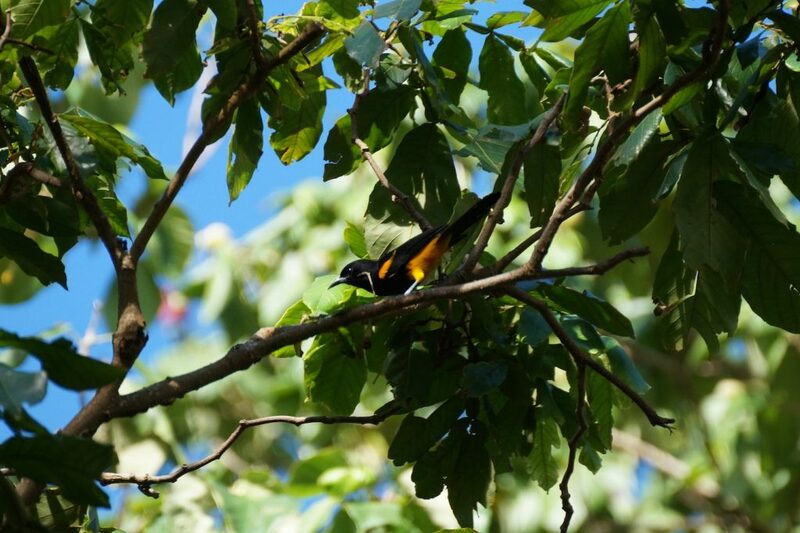 Anse Mamim is a good place to spot the St Lucia Oriole – grackle size, this bird appears black with a bright yellow-orange patch on the wing and another along the base of the back and around the bottom and tops of the legs. They have bright grey-blue legs and can come quite close when inquisitive. The color patches are lighter and more yellow in females while young birds show dark rusty-brown feathers instead of black. In the thicker parts of Anse Mamim, listen for the Ruddy Quail-dove, a secretive dove with a solemn, deep ‘ooow’ that resembles someone blowing over a bottle or slowly running their finger round a wine glass. They are difficult to see. Look out for House Wrens and Black-whiskered Vireos, while Broad-winged Hawks may soar overhead at any time. As you head back, look out for tiny Black-faced Grassquits – they are olive-green, and the males have a black, sooty face. They are usually feeding amongst the grasses along the coast path back to Anse Chastanet and often fly up before you can see them well.